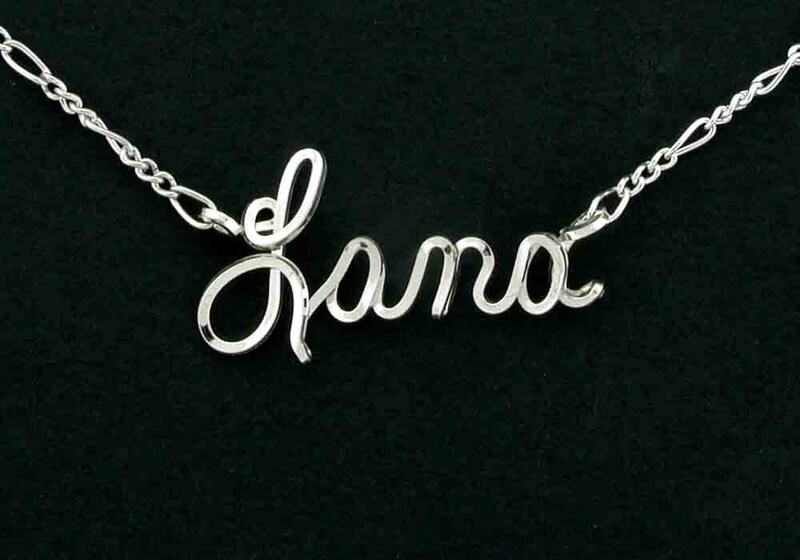 Choose Any Name or Word you want up to 9 letters to create this unique Personalized Name Necklace. Include your choice (spelling) in the "Notes to Seller" section during checkout. 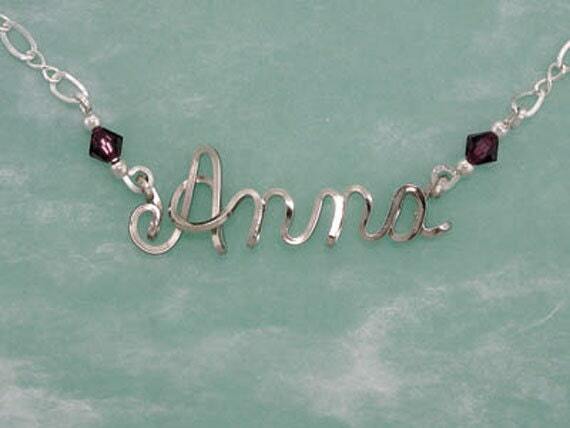 Customize by adding beautiful Swarovski Crystal Birthstone Beads to each end of your name. 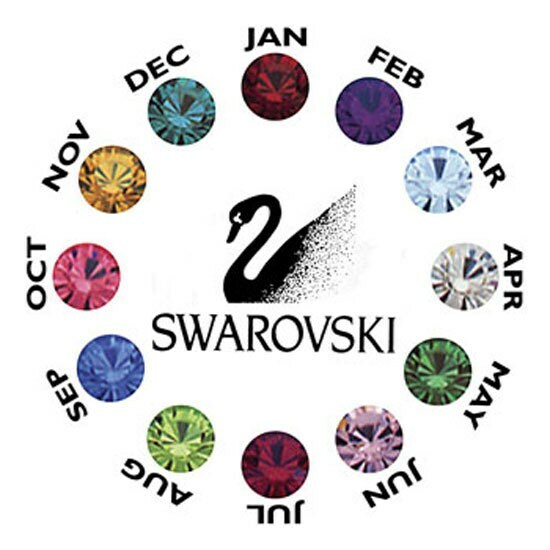 See Photo and make your selection from the drop down menu - THEN - add your selection to the "Notes to Seller" section at checkout. Your purchase arrives in a gold foil box and is ready for gifting. Chain is available in 14 to 18 inch lengths (does not include name). Select in drop down menu. All material is 92.5 Sterling Silver. 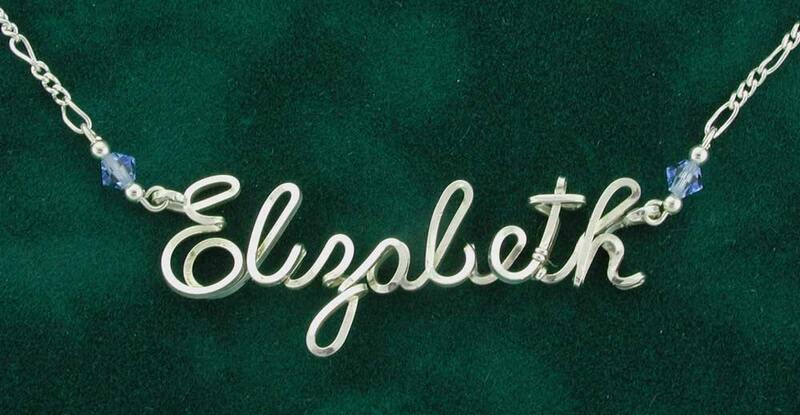 Each name is handmade using sterling silver wire and attached to a sterling silver figaro chain. 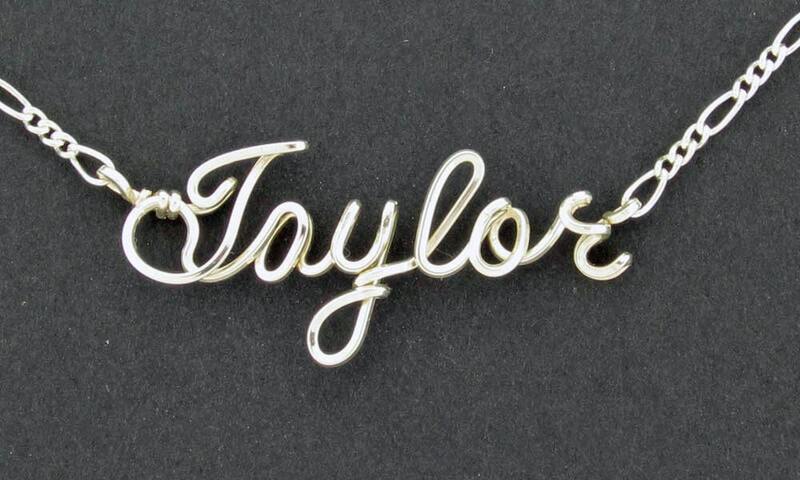 These necklaces make wonderful gifts for that hard to buy for person we all know. Check my store for listings in rose gold, and 12 karat gold wire.